There’s something so comforting about walking into a home with hardwood floors. They offer warmth and a welcoming feeling to any space, keep your feet warmer during the winter — not that that’s typically a concern here in San Antonio — and offer the added benefit of being pretty easy to clean. It’s no wonder wood floors are a perennial classic in terms of home flooring. 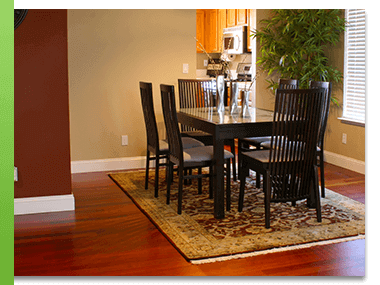 Most people tend to think that hardwood floor cleaning is straightforward, and it is, but only to a point. To illustrate what we mean, let’s start with a question: How do you care for your hardwood floors? The common answer is sweeping or vacuuming regularly and mopping occasionally. If you’re sweeping or vacuuming up debris every few days, that’s great! Don’t let that fall by the wayside because clearing the debris off your wood floors will minimize the opportunities for hard particles to wear away at the surface of your flooring. However, we do recommend sweeping with a soft, dry dust mop rather than a harder bristled broom to minimize abrasions and help keep your wood floors shining. Since hardwood flooring is natural, it is coated in a protective lacquer to help it last. 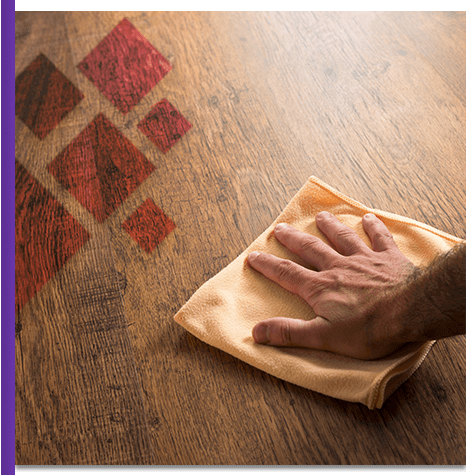 Using the wrong cleaning solutions can cause that protective top coat to wear away more quickly, eventually wrecking your floors entirely. Since hardwood floors are porous, they absorb liquids. That protective lacquer helps prevent moisture absorption, but it can only work so hard. If you leave excess water lying on your hardwoods every time you mop, it will seep into any weak spots in the protective coating, and into the cracks between boards, causing your wood floors to warp. In order to guard against damage to your wood flooring, you’ll need to be sure you’re using the right cleaning solutions for hardwood floors and to mop up as much excess water as possible. As a good rule of thumb, if you can see standing water on the floor after you’ve finished a room, you’ve been using too much water. Thoroughly wring out your mop and go over everything again to absorb as much of that water as possible. Make yours a shoe-free home or only wear rubber/soft-soled shoes inside. Put furniture pads on the bottom of all furniture. Lay rugs across main walkways and clean under them regularly. Vacuum/sweep regularly to remove debris. Add window treatments to protect against sun damage. Place pads/mats under rolling furniture (like an office chair). Close windows when it rains and on especially humid days. Set yourself up and make these steps a part of your routine at home and these steps can help prolong the life of the protective sealant on your wood floors. On top of all of these tips, however, you will need to do some occasional maintenance and more thorough cleaning to keep your floors in great shape. Professional hardwood floor cleaning services like Steam Master Cleaning and Restoration can help remove stains and grime from your flooring without damaging the protective lacquer or the delicate hardwood underneath. Not only can we help bring back a beautiful shine to your wood floors, but regularly scheduled professional hardwood floor cleaning can help the protective coating last longer. Once that protective lacquer does start to wear out, though, you’ll want to be sure you have your wood floors refinished as soon as possible. When the protective coating wears away, your floor will look more dull. Not only that, but they will also damage more easily. Without a protective coating, hardwood floors will soak in moisture more easily and get scratched by abrasive debris. This is even more of a concern in humid areas like San Antonio since unprotected hardwoods can easily warp and split due to the humidity in the air. If it’s time to re-seal your hardwood floors, start with a professional hardwood floor cleaning to get all the grime out and prepare it to be sealed again. Just like carpet, your wood floors accumulate dirt over time. With routine sweeping you probably eliminate a majority of the debris you see, but what about the dirt that is invisible to your eye? When you work with Steam Master Cleaning and Restoration, you don’t have to worry about what you cannot see. 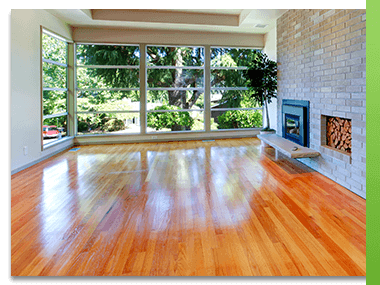 Our mission is to provide you with high-quality hardwood floor cleaning services in San Antonio. We want your hardwood floors to shine the way they are supposed to, and we accomplish this through premium wood floor cleaning tactics. Using store-bought cleaning supplies can help to reduce the amount of dirt that collects on your floor. You should be careful with what you choose to use, though, because some products actually strip your wood flooring of its natural lacquer. 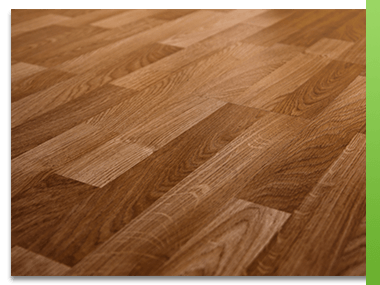 Steam Master Cleaning and Restoration only uses high-quality products that you can trust, to enhance the image of your hardwood flooring and to protect it for many years to come, while removing lingering dirt at the same time. Steam Master Cleaning and Restoration stands out in the industry, not only for our floor cleaning services but for the specific way we clean. We believe in doing whatever it takes to give our customers exceptional results each and every time. We provide you with detailed wood floor cleaning services, reflecting our high-level customer satisfaction and commitment to our clients. We believe in treating your floor as if it is our own, using state-of-the-art techniques and listening to your needs. You can expect the best from Steam Master Cleaning and Restoration because that is what you will get. Schedule your hardwood floor cleaning with us today.